Moving your underground utility lines is easy as long as you know what you have to do. The basics of it is that you can’t just get a shovel and start digging to find underground cables that you can then move on your own. 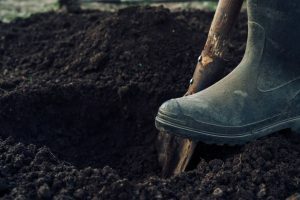 While you’re technically digging on your own property, there are laws and regulations in place regarding how you are allowed to handle underground utility lines and what measures you have to take before employing an excavation service. The matter is that you will need to make sure you don’t hit any of the underground cables or pipes that carry electricity, gas, water or sewage. This will be difficult even if you get a hold of the original plans for your home, and you have a general idea of where the cables are. So, the first step is to call 811 and have some underground cable locator utility experts over to see if they can pinpoint the exact location of every utility line that was driven underneath your property. After that, they will mark those areas and notify you that you can only dig around them. Once that’s out of the way, the safest method of digging up and relocating your utility lines will be using a special hydro excavation service that can remove the dirt around them without damaging them. After that, you can call on the utility providers and have them remove or relocate the utility lines with your consent.